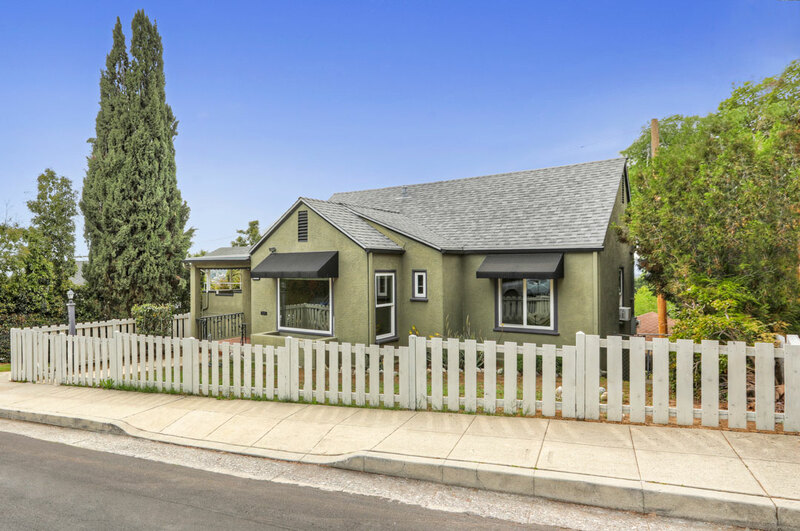 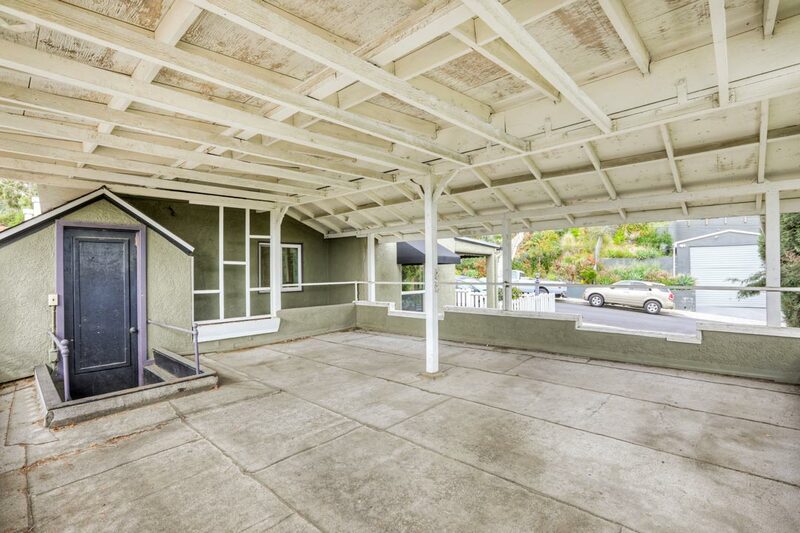 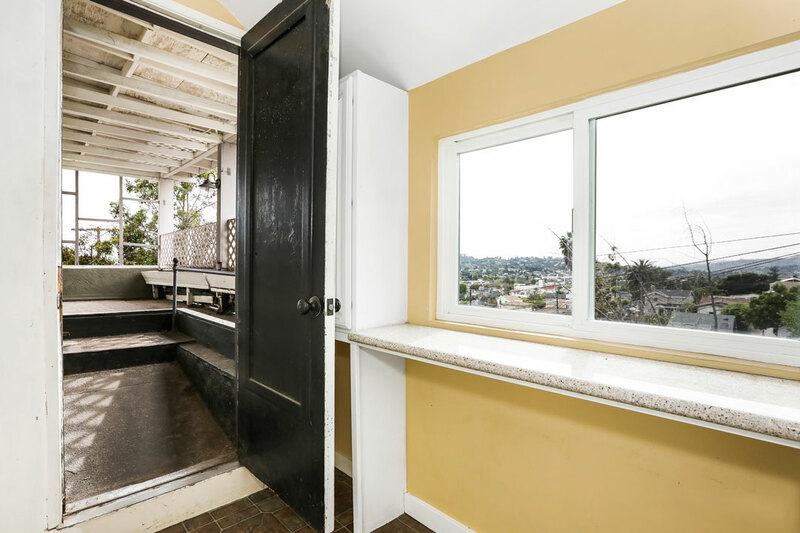 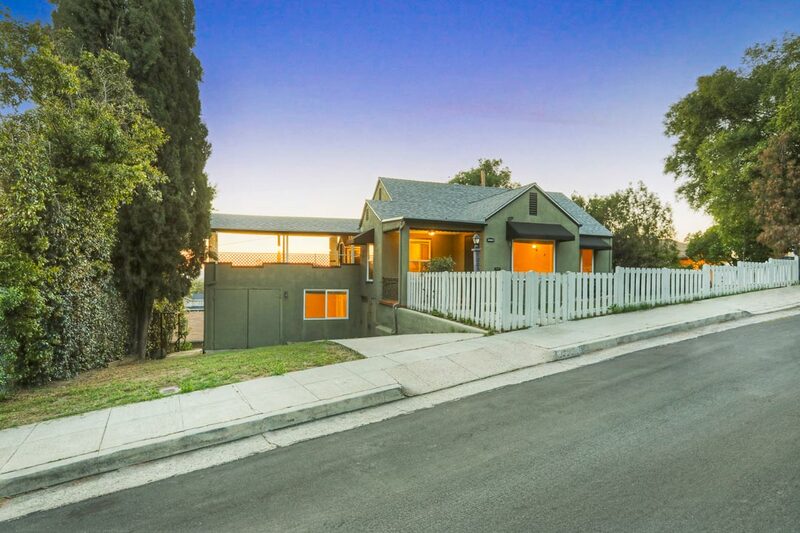 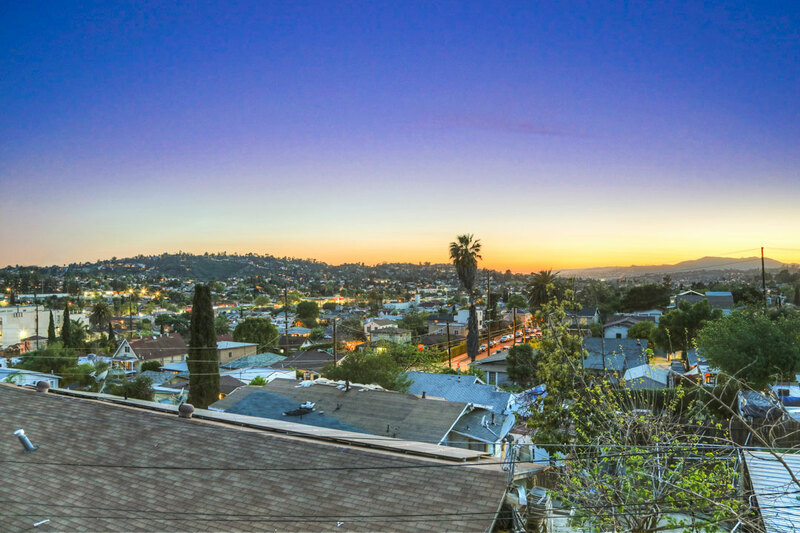 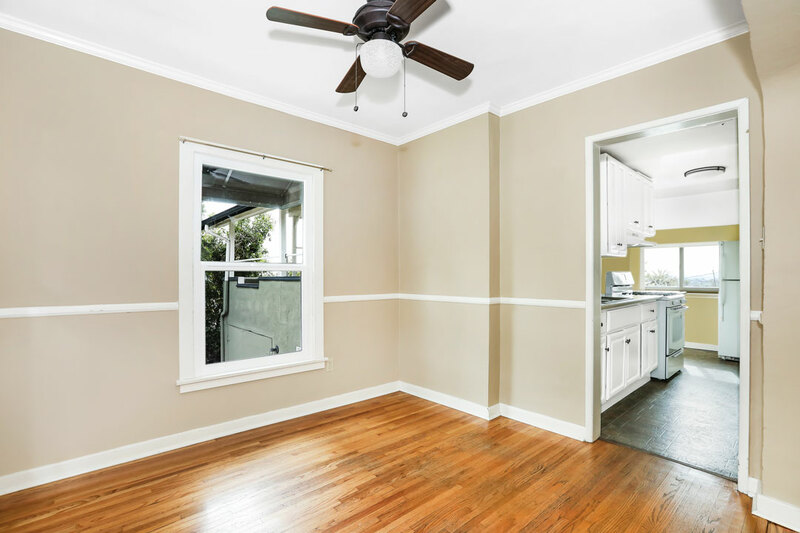 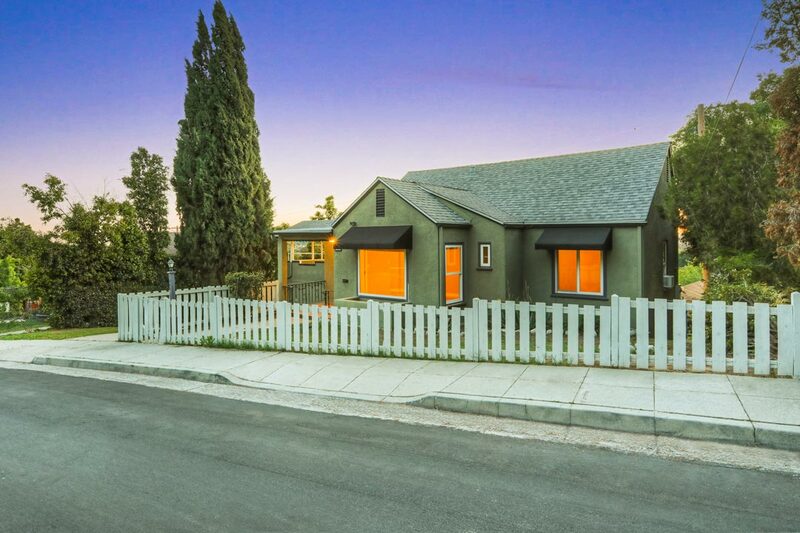 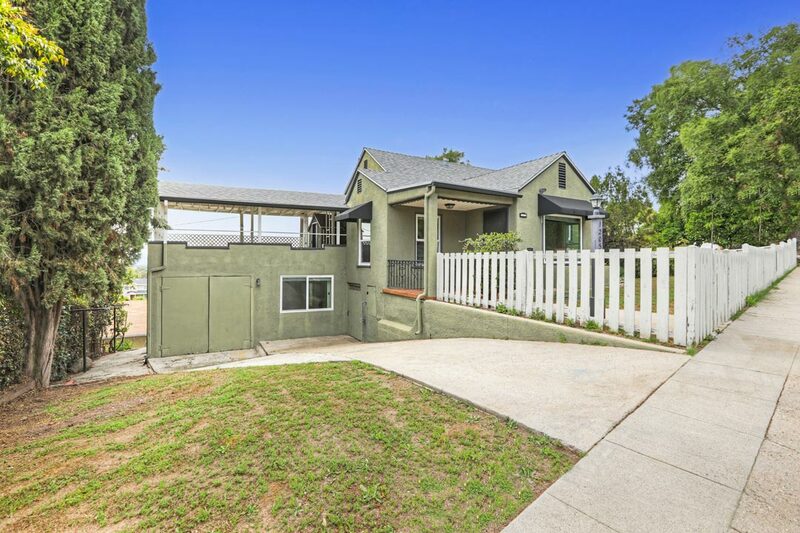 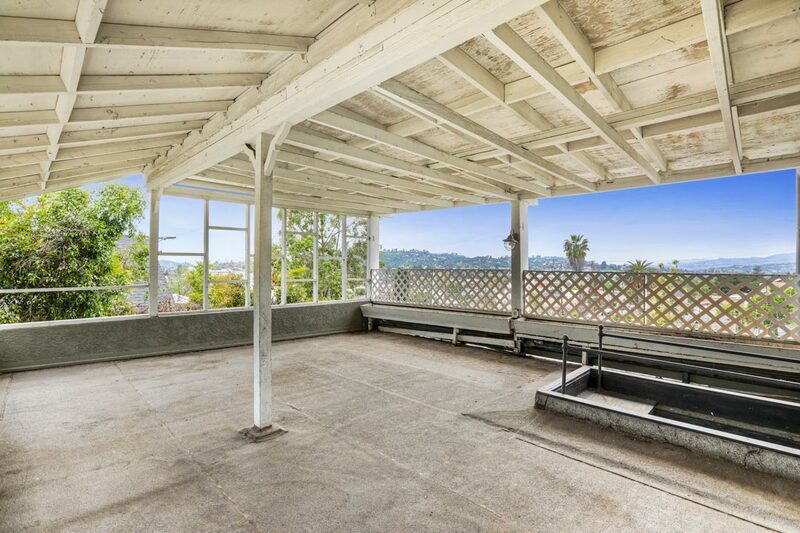 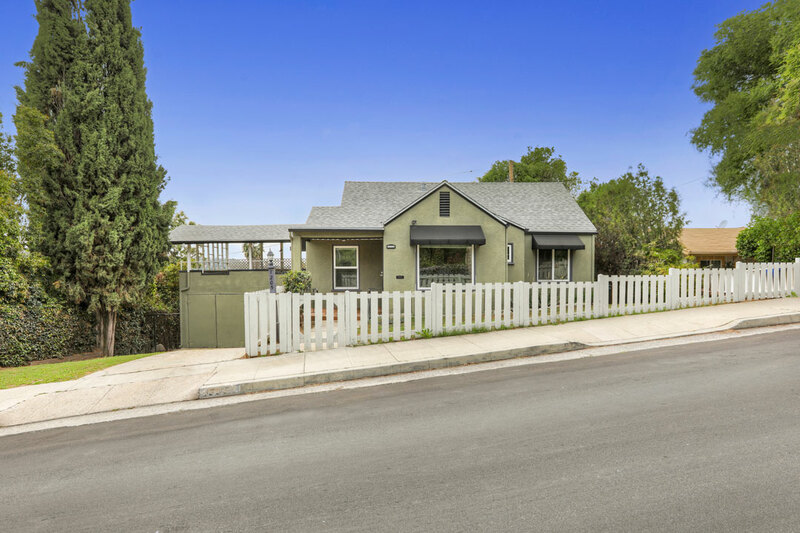 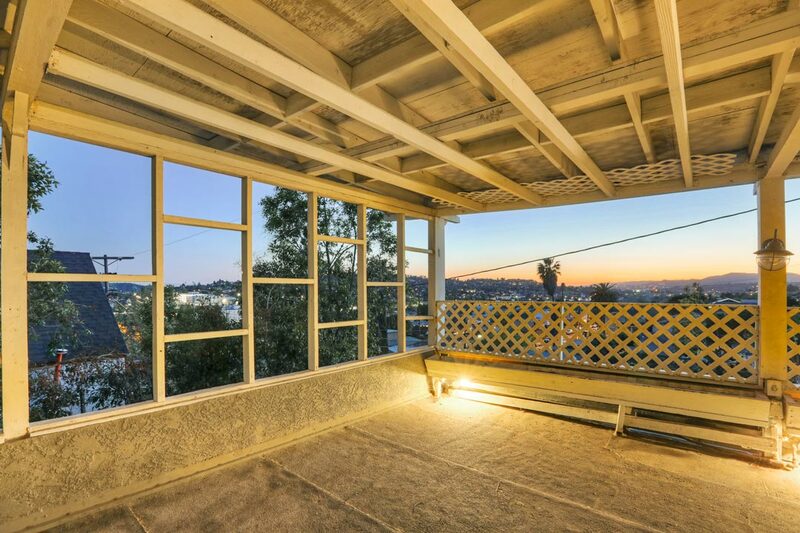 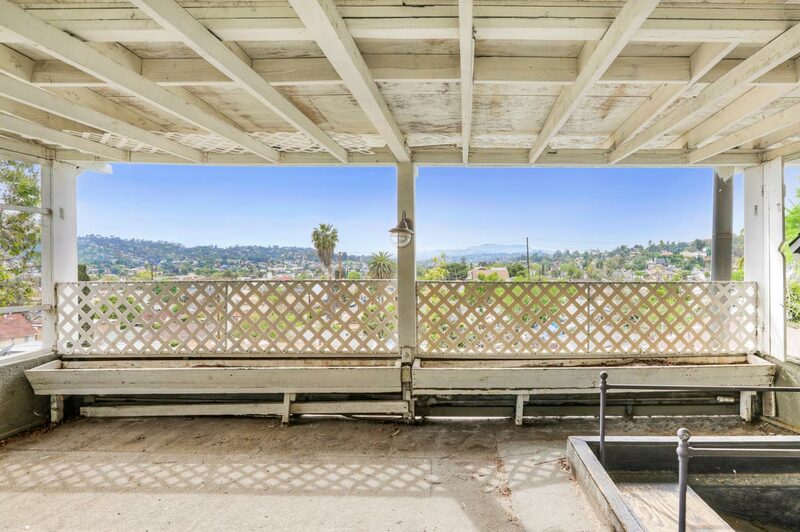 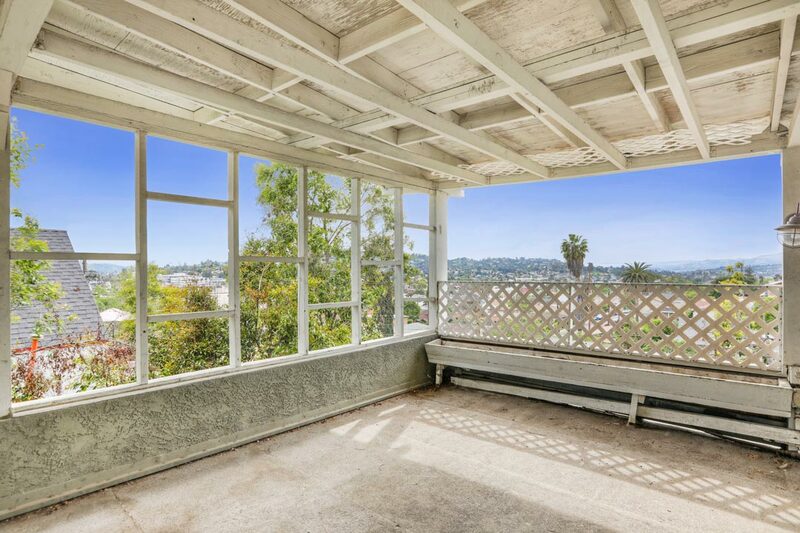 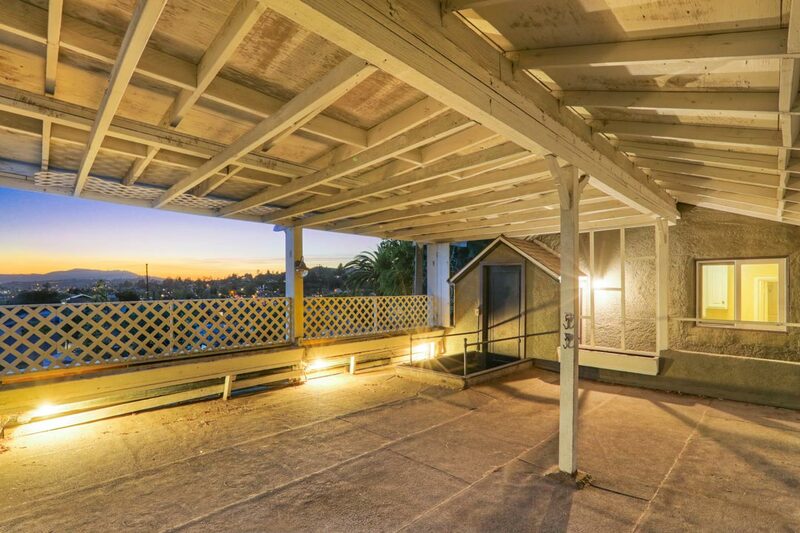 Set behind a white picket fence, this Bungalow with views is a great opportunity for ownership in red-hot Highland Park. 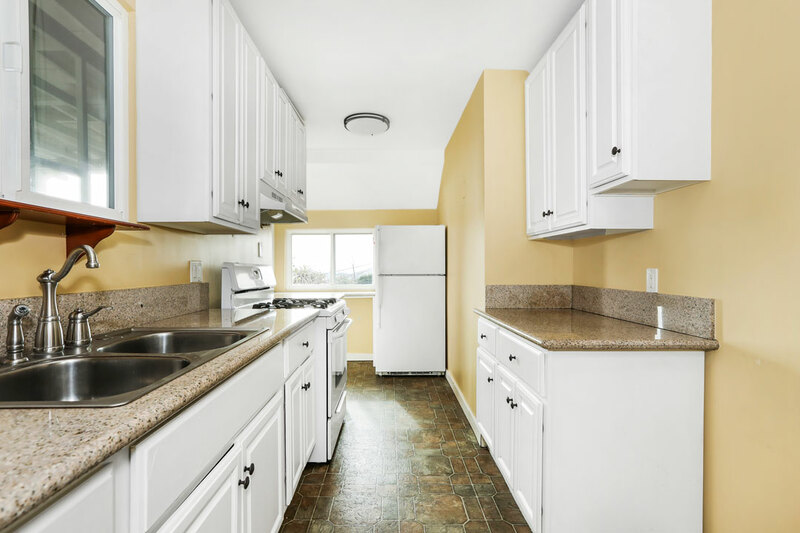 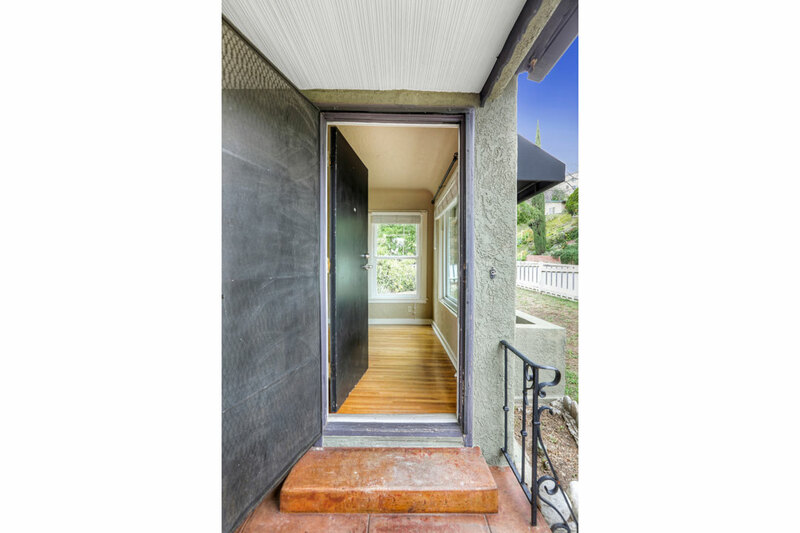 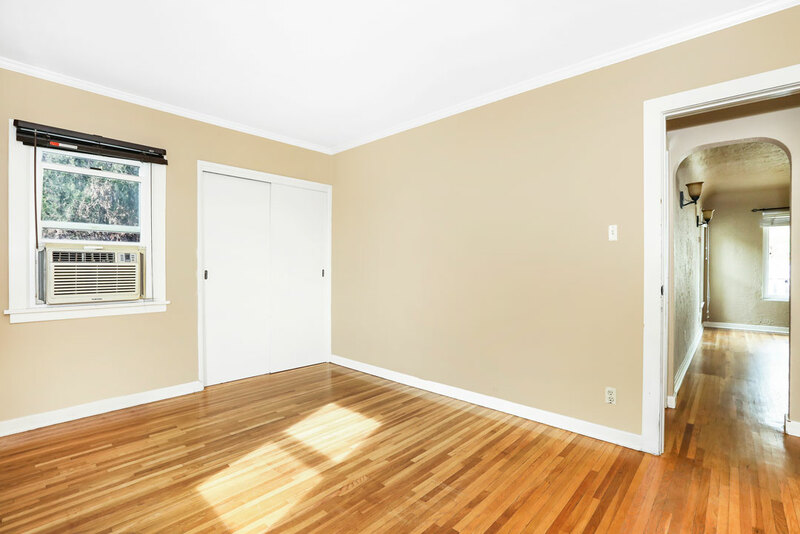 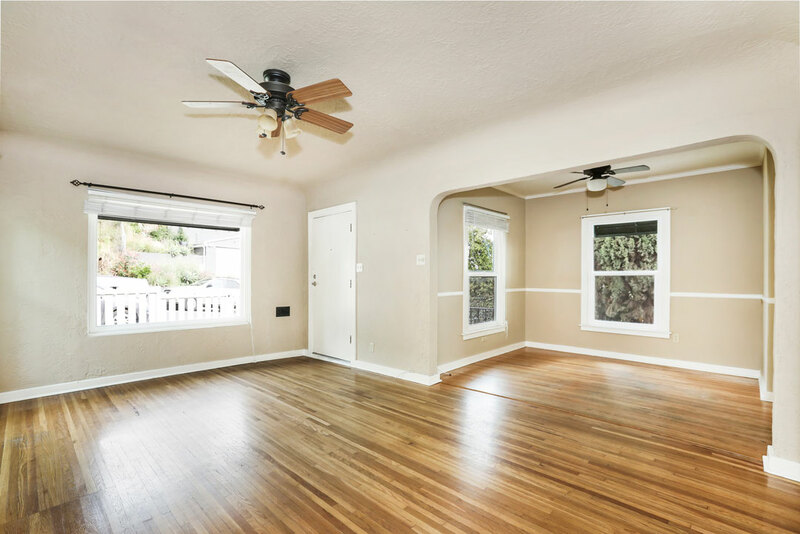 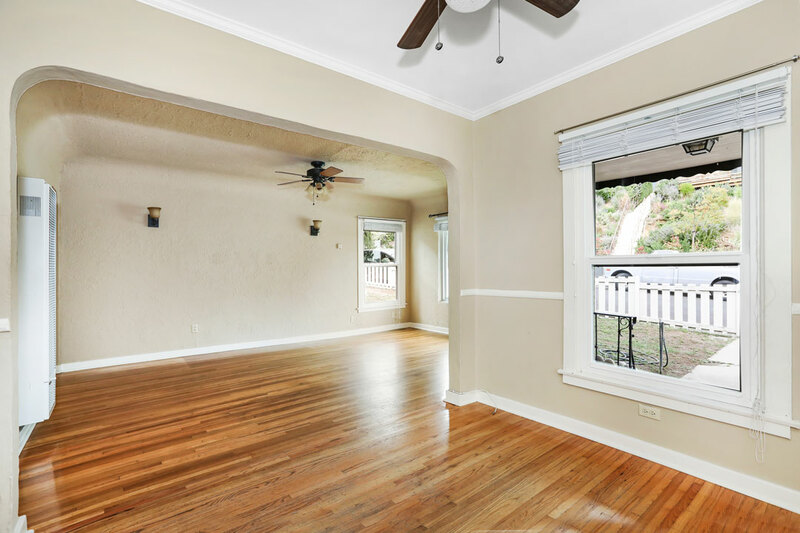 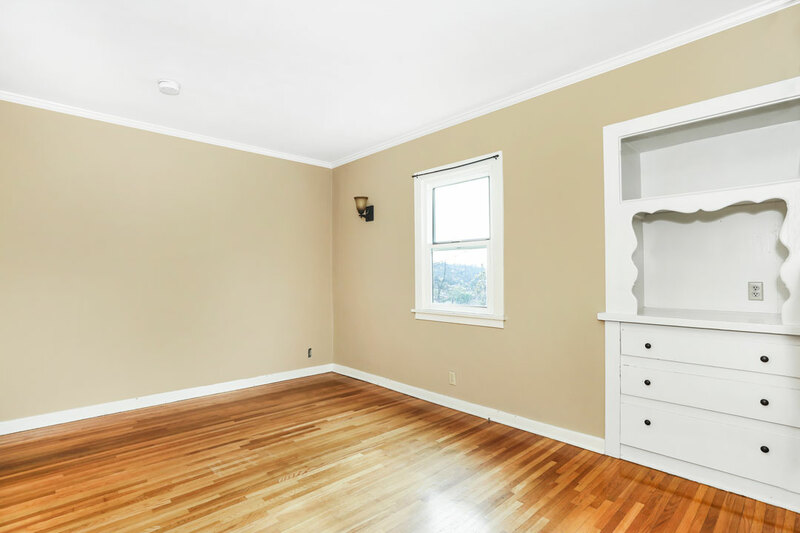 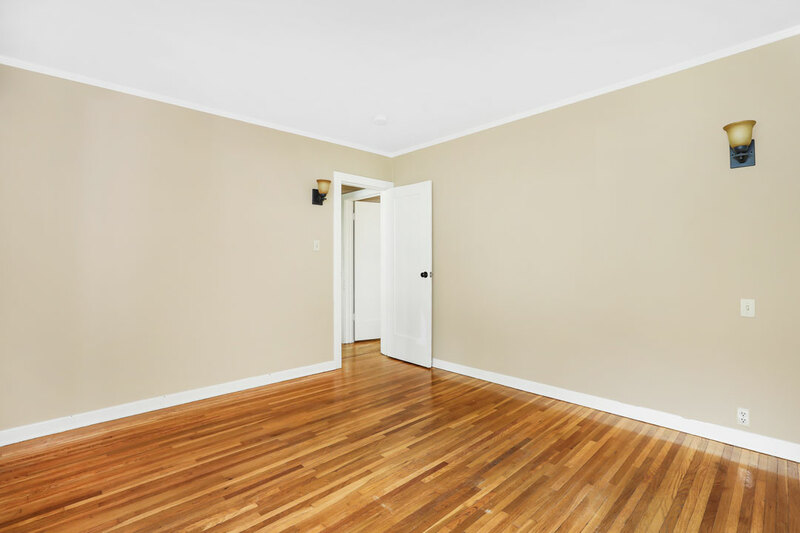 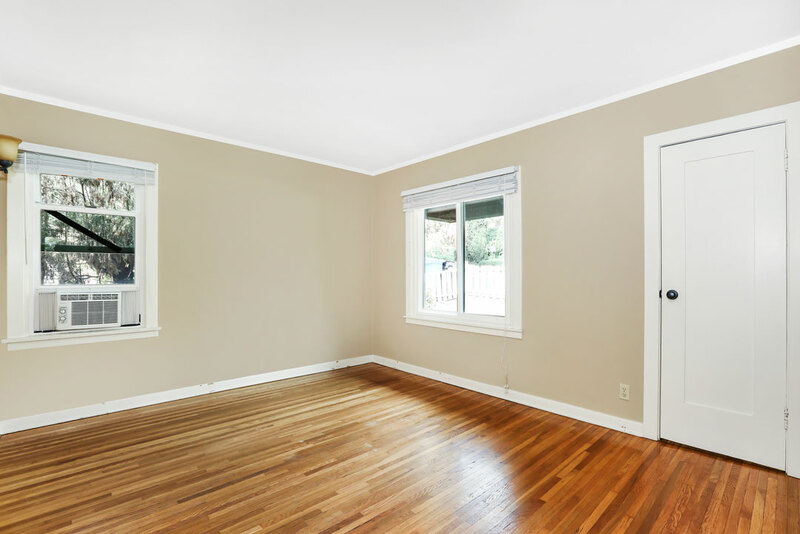 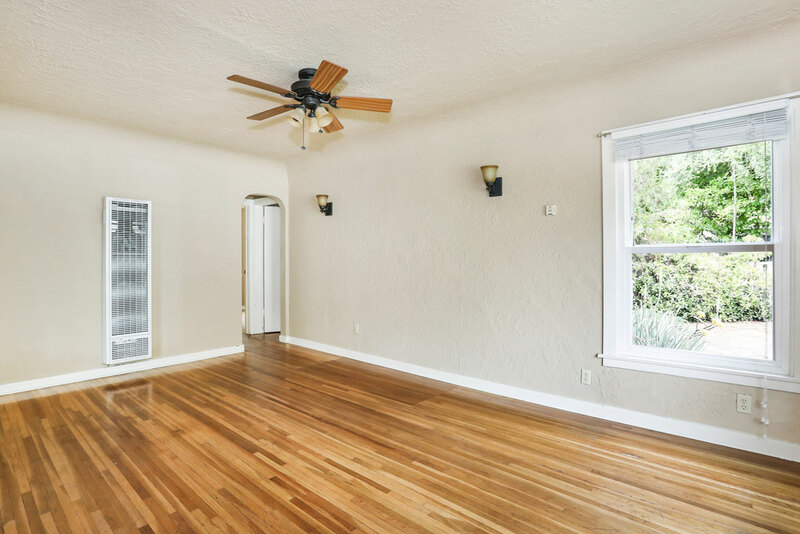 Bring your ideas and fulfill the potential of this home that features formal living and dining with coved ceilings, large picture windows and hardwood flooring throughout. 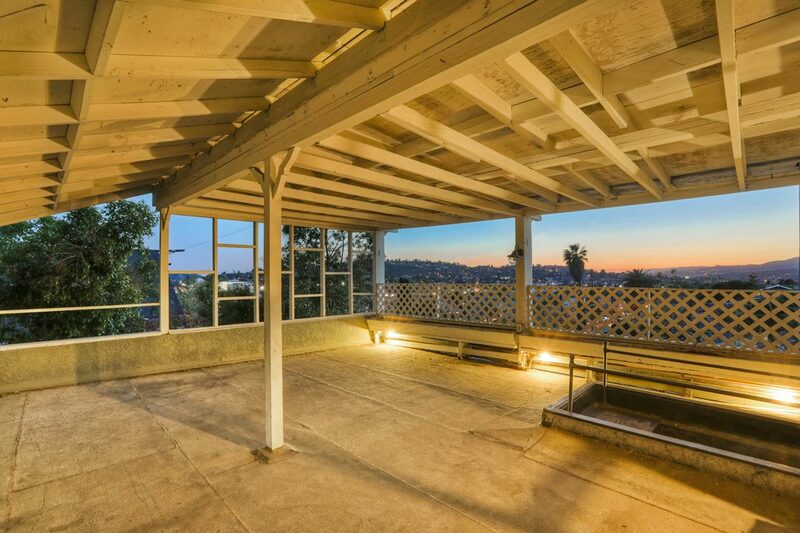 The kitchen provides easy flow to an expansive covered deck, a sweet spot to relax and entertain against a striking panorama. 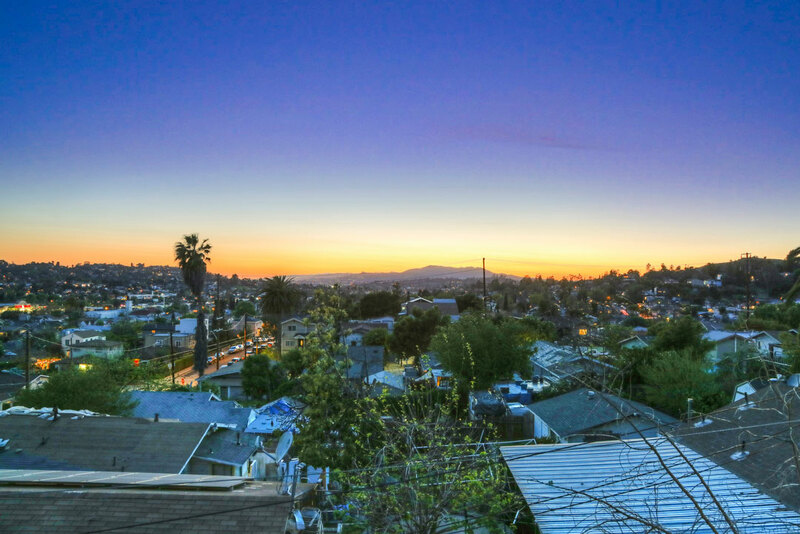 Breathtaking vistas stretch across hillsides and city lights, clear to the Griffith Park Observatory. 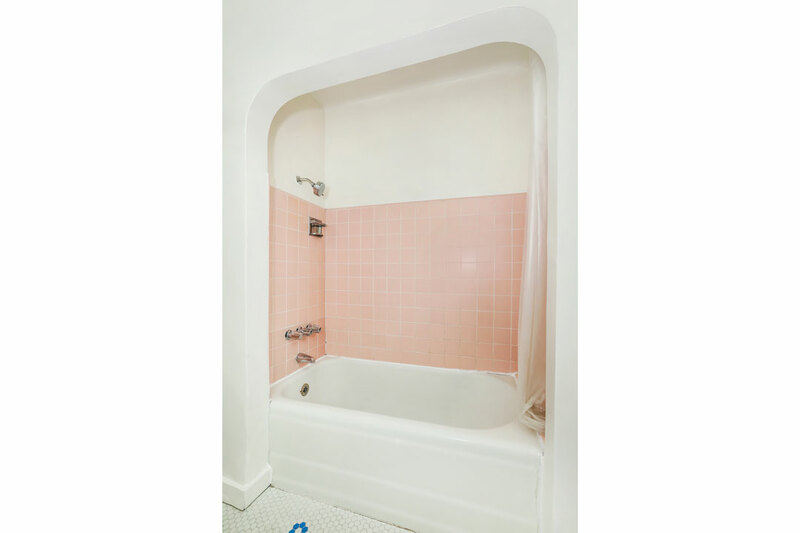 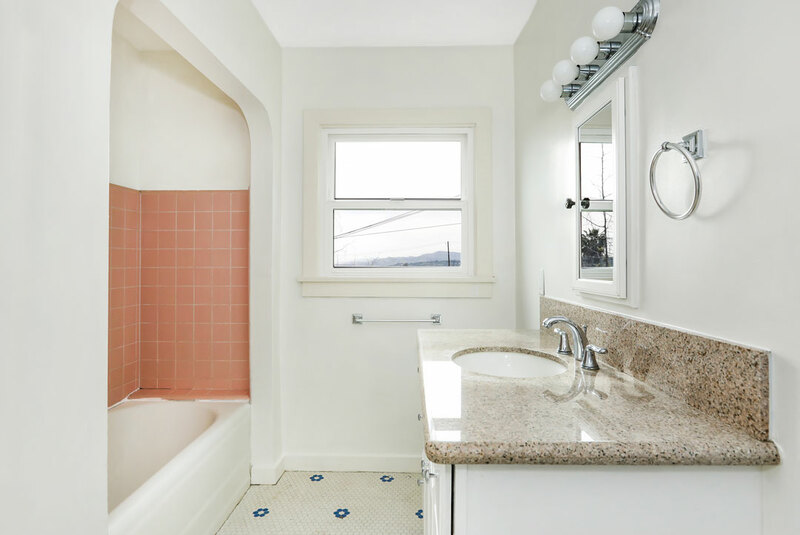 The home has two bedrooms, and a bathroom with vintage elements including an arched alcove and pink tile. 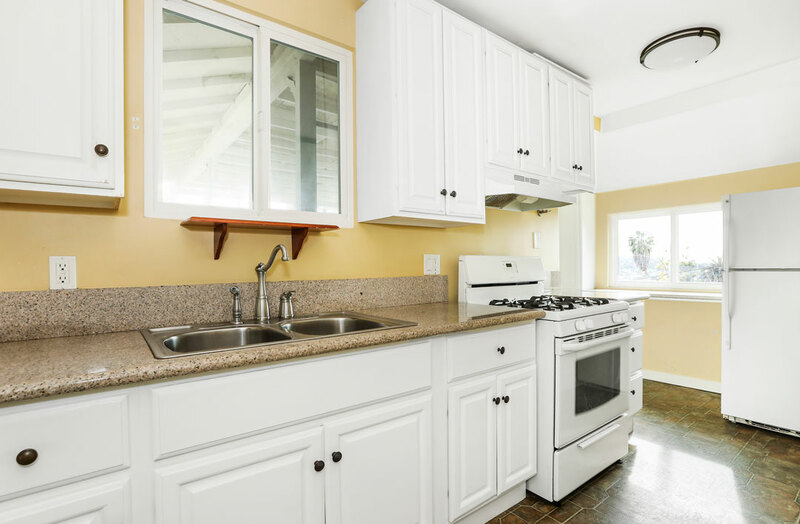 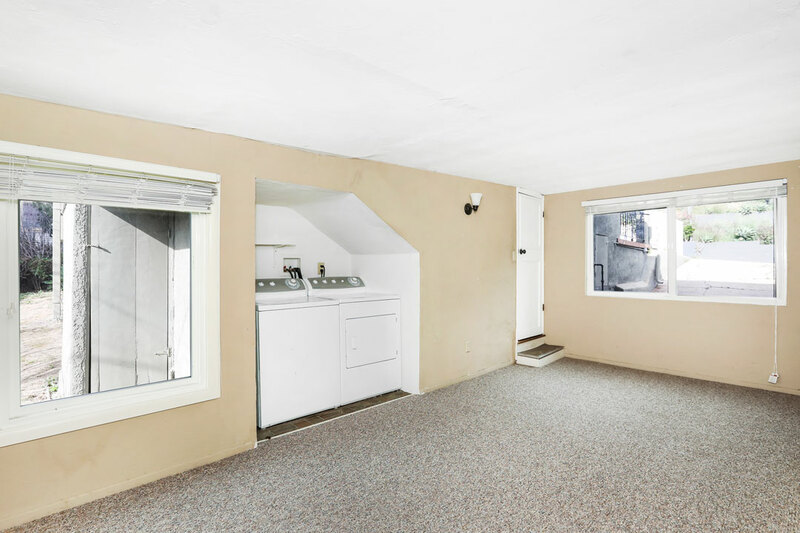 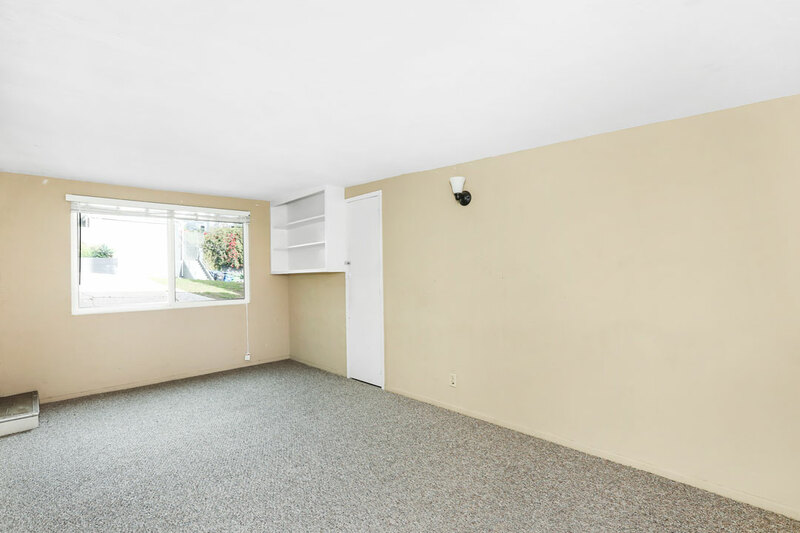 The handy bonus room with laundry can be your office, studio or home gym, plus there’s an attached garage and off-street parking on the driveway. This prime location places you near all the action along York Boulevard including Joy, Cafe de Leche, Hinterhof, Town Pizza, Belle’s Bagels, Donut Friend and more.